Maybe somebody should have blown the dust off this Bible IN CHURCH! Hilmarton, England (CNN) - A little English village church has just made a remarkable discovery. The ornate old Bible that had been sitting in plain view on a table near the last row of pews for longer than anyone could remember is an original King James Bible - one of perhaps 200 surviving 400-year-old original editions of arguably the most important book ever printed in English. The White House today released a copy of President Obama's "Certificate of Live Birth," a document that for the first time claims Kapiolani Maternity & Gynecological Hospital as the president's birth place. The White House confirmed the document as "proof positive" the president was born in Hawaii. According to White House Communications Director Dan Pfeiffer, Obama decided the full document was needed because of the growing questions about the president's birth. He described how there had been concern about the Internet "chatter" that had grown into a national political debate. He said the president thought it was becoming a "distraction" from the issues that face the nation. Real estate entrepreneur Donald Trump, a possible GOP Republican candidate in 2012, had been asking questions about Obama's documentation for several weeks now. "First we have to look at the certificate," he said. "I want to look at it, but I hope it's true, so we can get to more important national issues." "Why he didn't do it when the Clintons asked for it. Why he didn't do it when everyone else was asking about it, I don't know," he said. "You're going to have many people looking at it …. It's amazing that all of a sudden it materializes. Experts will look at it … and I'm very proud that I was able to bring this to a point." Jesus died and rose from the grave. This you already know is one of the central themes of the New Testament. And for hundreds of years, many have either assumed or been told that Jesus died on a Friday afternoon, was placed in a tomb Friday evening and then was resurrected sometime around sunrise a day and a half later on Sunday morning. But you may be surprised about what the Bible actually says concerning the timetable of these important events. 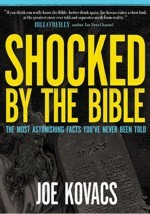 "If people would just crack open their own Bibles, they'd realize that not only are the words Friday and Sunday absent, but the widely perceived time frame is not possible if you believe the actual words of Jesus Christ," says Joe Kovacs, author of the best-selling book "Shocked by the Bible: The Most Astonishing Facts You've Never Been Told." In "Shocked," Kovacs, a staunch defender of the Holy Bible, probes the day Jesus really died and the day He actually rose from the grave, all based on what the Bible itself has to say, not what centuries of misinformation and man-made tradition have led millions to believe. "In the Gospel of Matthew, Jesus Himself said He would be in the grave for 'three days and three nights,'" Kovacs explains. "And in the Gospel of Mark, Jesus taught his disciples that He would rise from the grave 'after three days.' Even a child could tell you that between Friday evening and sunrise Sunday morning, you cannot count 'three days and three nights,' as well as 'after three days.'" There is a bitter irony in that statement given that consumer purchasing power is down in the U.S. thanks to the devastating collapse of a housing bubble GE Capital fed with suspect mortgage financing that provided the company with well over half of its profits before the crash. The loss of well-paying jobs at multinationals like GE to other nations—54 percent of the GE workforce is foreign—exacerbates the plight of U.S. consumers while making the foreign customers even more attractive. 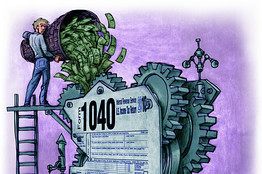 Tax compliance employs more workers than Wal-Mart, UPS, McDonald's, IBM and Citigroup combined. There is a lot more to taxes than simply paying the bill. Taxpayers must spend significantly more than $1 in order to provide $1 of income-tax revenue to the federal government. To start with, individuals and businesses must pay the government the $1 in revenue plus the costs of their own time spent filing and complying with the tax code; plus the tax collection costs of the IRS; plus the tax compliance outlays that individuals and businesses pay to help them file their taxes. U.S. Rep. Michele Bachmann, R-Minn., says President Obama has neglected to clearly demonstrate he's eligible to hold his office, and says it would be simple for him to do so. "It's an interesting issue that has gone on for so long and it's one that the president could have solved very early on," Bachmann told Fox News host Judge Jeanine Pirro last night. "All he had to do is just answer some questions and show his [long-form birth] document and then have people do an attestation that this in fact is a legal document and it's over, it's done. And I think the president has neglected to focus on answering that question for people, and that's why a lot of people still have it lingering in their minds. None of us can prove, none of us can do attestation. Only the president and someone who is legally tasked with attesting to the validity of that document can do that, and I think that's what the president should do." Righthaven lawsuits backfire, reduce protections for newspapers--UPDATED!!! One year ago, U.S. newspapers and broadcasters could feel confident they controlled the news content they created. It was understood that competing and special-interest websites couldn't appropriate that content and post it without authorization. When such infringements occurred, they were dealt with swiftly and effectively with a simple phone call or email. Infringing websites typically had re-posted material out of ignorance they were violating the Copyright Act and agreed to remove the material or replace it with a link to the source newspaper or broadcaster. Then along came Righthaven LLC of Las Vegas, the self-appointed protector of the newspaper industry from such news sharers. They are history’s most notorious serial murders and among the world's most famous unsolved crimes. Between August and November 1888, five prostitutes were killed and horribly mutilated in and around London’s crowded, impoverished Whitechapel area. Mary Ann Nichols, Annie Chapman, Elizabeth Stride, Catherine Eddowes and Mary Jane Kelly had their throats slashed and – with the exception of Stride – their abdomens mutilated. Then the killings stopped abruptly. The murderer was never identified. And the Jack the Ripper phenomenon began. In the 123 years since, countless suspects have been proposed – and rejected – from various poor Polish immigrants to Queen Victoria’s physician William Withey Gull and even Prince Albert Victor, Duke of Clarence and Avondale. But according to English former homicide detective Trevor Marriott, Jack the Ripper was most likely a German merchant sailor from Karlsruhe named Carl Feigenbaum. 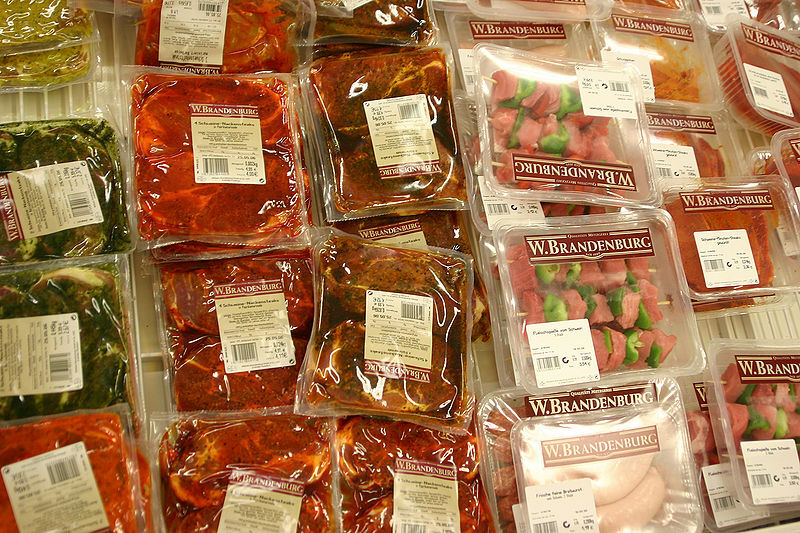 A new study finds that much of meat and poultry sold in supermarkets is contaminated with drug-resistant staph bacteria. 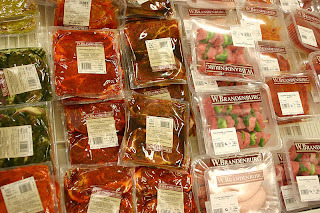 Researchers bought beef, chicken, pork, and turkey in five U.S. cities and found that nearly half of the meat sampled -- 47 percent -- contained drug resistant strains of Staphylococcus aureus. The "staph" bacteria is linked to a range of health problems from rashes and respiratory ailments to potentially fatal illnesses such as sepsis and endocarditis. Due to overexposure, staph bacteria have grown resistant to an ever-widening range of the antibiotic drugs used to fight them; Methicillin-resistant Staphylococcus aureus, or MRSA has become a deadly scourge in U.S. hospitals. Why would anyone want to retain samples of a virus, long since eradicated from the earth, and use those samples to mutate and experiment with? For what purpose? What are they planning as the end use? And whom would they be thinking about using it on? Turns out the US and Russia are fighting every attempt to force final destruction of the smallpox virus samples and have been fighting the destruction of these samples of smallpox for years. The last case of smallpox ever recorded was in 1978 and the result of a laboratory accident. 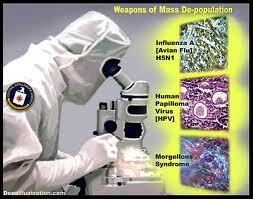 The only places smallpox exists today is in the bioweapons research centers in the US and Russia. In 2001, a PBS interview highlighted the fact that the Bush Administration was anticipating a bioterrorist attack using smallpox. Since the only known samples of the virus are owned by the US and Russia, I have to wonder who exactly would have launched this attack? And who in this world would keep such a lethal virus for any reason once it has been eradicated worldwide except for what is being used for experimentation by what has to be a collection of international madmen? WND: Does Hawaii ever release long-form birth certificates? Does Hawaii ever release long-form birth certificates? 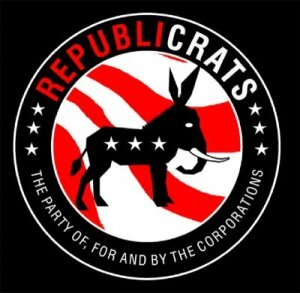 A former official with the Hawaii Department of Health says the computer image of a "Certification of Live Birth" displayed by the Obama campaign in 2008 to demonstrate the candidate's constitutional eligibility as a "natural born citizen" to occupy the Oval Office is the only document the state releases. But testimony and documents from others who have received them from the state simply by requesting them raises questions about the comments of Chiyome Fukino, former head of the state agency in charge of birth records, including those that may reveal details of Barack Obama's 1961 birth. It was in an interview with MSNBC that Fukino affirmed that the image of a short-form COLB is what the state releases. "What he got, everybody got," Fukino said during the interview. "He put out exactly what everybody gets when they ask for a birth certificate." Thermal Cameras Show Too Much? CLICK LINK TO READ MORE! Bones Found in Long Island, Serial Killer Search, Possible 8 victims. (Reuters) - Police searching on Long Island for more victims of a suspected serial killer on Monday found what look like human remains in two separate locations near a Nassau County beach. "It appears to be a skull," said Nassau County Police Officer Maureen Roach, noting that a final determination on whether the remains are human or animal will be made by the medical examiner. "We found what appears to be possible human remains," she said. The remains were found about 100 feet into the brush located one mile west of the entrance to the Town of Oyster Bay Beach, on the north side of Ocean Parkway. Found in two locations, it is still unclear whether the remains are from two separate individuals, police said. Government Motors (GM) Cars already falling apart! 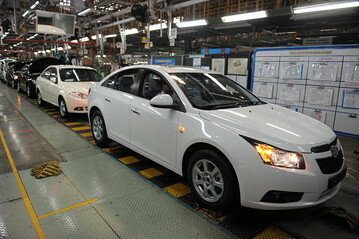 General Motors is recalling certain Chevrolet Cruze compact cars to make sure their steering wheels were put on tightly. While the recall affects a relatively small number of vehicles, it is an unpleasant development for Chevrolet, which has been riding high on the success of its new small car. Chevrolet sold 50,205 Cruzes through the end of March. That’s well short of the 76,821 units Toyota sold of the Cruze’s main rival, the Corolla, but it is ahead of the 37,379 Cobalts Chevy sold in the same period. The Cruze replaced the Cobalt and is supposed to be a departure from that uninspired model. Japan may raise its nuclear crisis to a level seven from a level five, according to the Kyodo news agency. That level would equal Russia’s Chernobyl disaster as the earthquake-plagued nation desperately tries to contain the amount of radiation admitted. The Three Mile Island accident in 1979 was a level 5. Nuclear power-related shares are taking a hit, Germany may abolish nuclear power altogether in 12 years and iodine tablets are selling fast on the U.S. West Coast as radiation fears reach new heights. The global overreaction from this rare 9.0 magnitude earthquake and massive tsunami that followed may set back the safest and easiest way for this country to solve its energy crisis, investors said.